It's just one week away: IntelliCAD World Conference 2017 in Auckland, New Zealand, November 6-8, 2017. Designed with ITC members in mind, the conference is designed for exploring new possibilities, exchanging ideas, finding solutions to technical issues, and providing direction for future development. What can I do with IntelliCAD? We'll be showing IntelliCAD's latest advancements in BIM technology, mobile platforms, DGN markup within IntelliCAD, IntelliCAD APIs, advanced rendering, the ribbon and other user interface advancements, and much more. How and why do members use IntelliCAD? ITC members will be highlighting their custom solutions built with IntelliCAD, and the ITC will be discussing internationalization, internal systems, etc. A whole day is also dedicated to one-on-one technical meetings with ITC developers. We'll be reporting from Auckland, so stay tuned! progeCAD 2018 was just updated to version 18.0.6. The main addition in this latest version is multileader support: create and edit multileaders with a variety of arrows, segments and content, including text and blocks with attributes. 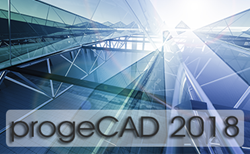 progeCAD 2018 Professional is a 2D/3D DWG/DXF-native general-purpose CAD application based on the IntelliCAD engine. For more release details about the update, see the news announcement. How Quickly can ITC Members Integrate a New IntelliCAD Version? Just three days after Monday's release of IntelliCAD 8.4a to ITC members, ActCAD LLC released ActCAD 2018 based on that new IntelliCAD engine. It's a great example of how the ITC works directly with its members, streamlining development and integration so the latest CAD technology gets to end users as fast as possible. ActCAD 2018 is available in Professional and Standard editions, both 32-bit and 64-bit. IntelliCAD is a cooperative CAD platform and development framework. Portland, OR, USA, October 9, 2017 — The IntelliCAD Technology Consortium (ITC) today announced the release of IntelliCAD 8.4a. IntelliCAD 8.4a is a maintenance release for version 8.4 that was previously issued on July 14, 2017. 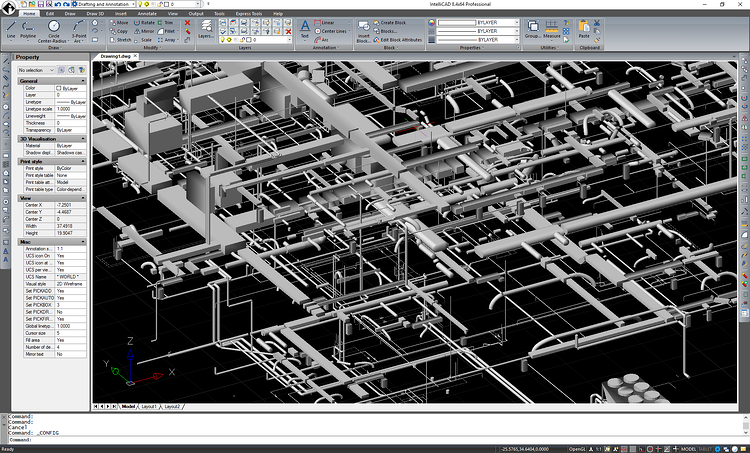 A key addition to IntelliCAD is the support of version 2018 .dwg files. IntelliCAD works natively with .dwg files, with no conversion required, but initial support of the latest .dwg file version 2018 does require conversion in IntelliCAD 8.4a. Native support is expected soon. Other highlights include significant improvements to editing in-place blocks and external references, ability to select entities on locked layers, editing multiline text, additions to Russian and French translations, and new Dutch, simplified Chinese and Serbian localizations. Many improvements included in IntelliCAD 8.4a were contributed by ITC member developers and companies who collaborate with the ITC on an ongoing basis. IntelliCAD 8.4a is supported on Microsoft® Windows® 10, Windows 8, Windows 7, and Windows Vista®, including 32-bit and 64-bit versions. New ActCAD 2018 (version 84220) and ActCAD 2017 (version 1102) maintenance versions are available from ActCAD LLC, member of the ITC. ActCAD users can upgrade to the latest improvements and fixes using the CHECKFORUPDATES command. New ActCAD users can download the latest ActCAD version directly from the ActCAD website in the downloads area. ActCAD 2018 and ActCAD 2017 are based on the IntelliCAD engine and are available in Professional and Standard editions and 32-bit and 64-bit.